Example defects cured by the SecoFLEX coating system. With the correct level of preparation all these commonly seen problems can be cured with a SecoFLEX installation. If you are suffering with any of these issues then why not get in touch so that we can assist you in addressing these problems. We can leave you with a beautiful home that will last for many years before routine maintenance. Algae are unicellular organisms which are disseminated by the wind and get deposited on facades. To grow, they need light, moisture, carbon dioxide from the air and temperatures of between 20 and 25 °C. Particularly on severely weathered facades that do not dry out well, the algae proliferate and colonize large areas that turn green, brown or red. In many cases, algae only impair the outward appearance of a facade, while the underlying building fabric is not affected. 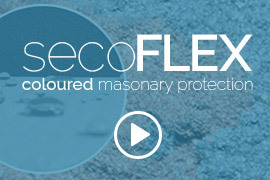 SecoFLEX is 100% Waterproof and makes it difficult for Algal growth to prosper. Facades exposed to hygrothermal (change in properties due to moisture absorption and temperature change) stresses for any length of time may be subject to blistering. This is caused by seasonal cycles of warming and cooling and of rain ingress and drying out. A film- forming exterior paint that blisters will adhere less well and will detach from the substrate at weakpoints. SecoFLEX is 100% Waterproof and 400% Elastomeric even at minus -20 Deg C so does not suffer from these seasonal stress cycles and fluctuation in temperatures. Spalling is a sign of poor adhesion. Surface coating systems with high internal stresses sometimes cause adhesion problems. This particularly applies if the coatings are applied to insufficiently firm substrates, which, in the absence of a primer, for example, are highly absorbent. The internal stresses in the paint lead to the formation of cracks, allowing water to ingress and accumulate beneath the coating. This causes the paint to flake off. The high pigment content of intensely-coloured paints tends to increase internal stresses still further. We have 3 primers in our armoury to address this issue. 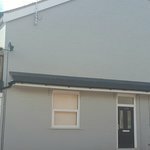 Once the correct primer is used a SecoFLEX installation with its high elasticity and level of waterproofing will stop spalling and will last for many years. Cracks make facades susceptible to weathering. Hair cracks and shrinkage cracks due to water loss are fine, web-like cracks that occur in the facade’s exterior coating and sometimes also in the plaster. They are caused by applying the paint too thickly, having too much binder in the mortar, by surface concentration of binder (caused by smoothing the plaster), by fine sand in the uppermost layer of plaster or by the plaster’s drying too quickly. Water can penetrate through the cracks and lead to moisture and frost damage in the substrate. Once the correct level of preparation has been used a SecoFLEX installation with its high film thickness and 400% elasticity ensures the coating will not crack, flake or peel. Especially in densely populated areas, facades are subject to deposits of sand, dust and soot. Acid rain, a combination of water and airborne pollutants such as sulfur dioxide, is particularly aggressive because it penetrates deep into the masonry pores, leading to discoloration and decomposition. Facades with a rough, coarse surface texture are more prone to large-area dirt pick-up or graying than facades with a smooth, fine surface. In addition, all facades are prone to streaking in places that the rain cannot wash clean, for example under cornices, eaves, windowsills, balconies and all kinds of facade projections. The height of the building and the off-vertical slant of the facade also influence dirt pick-up behavior. SecoFLEX has been proven to have minimal changes in appearance throughout it’s lifetime. Stains can simply be jet washed off the coating as part of routine maintenance. Salts promote water ingress. Salts contained in the earth or the construction materials dissolve in water and will migrate into the masonry if damp-proofing is inadequate. As the water evaporates, the salts become more concentrated, especially in the plaster. There, they crystallize out, effloresce or even force the plaster and masonry to flake off. Damage of this kind occurs most frequently in the ground course and lower areas of the facade. Once the correct level of preparation have been met a SecoFLEX installation will eliminate water ingress. SecoFLEX is 100% waterproof. Not only are the recipients of our coatings really happy. Our network of registered installers love working with our products too. We use SecoFLEX because we know it will not let us or our clients down. It has fantastic obliteration and a really nice finish. One job that springs to mind was on a bare brick end terraced shop that had been converted into apartments. 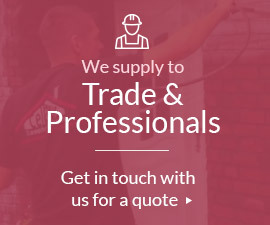 In the past we have had problems getting masonry paint to stick to bare, smooth house bricks. After consultation with the distributor we applied 1 coat of the recommended adhesion primer and 2 coats of SecoFLEX to the bare brickwork. It completely transformed the look of the property. The client loved the modern grey finish and we had a number of passers-by commenting on how good the project looked. In fact it looks as good today as it did 4 years ago when we first completed the job.